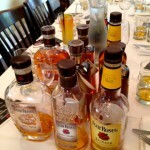 Oh, the perks of having a booze blog! You HAVE to taste in the interest of your dear readers and also for your own edification. 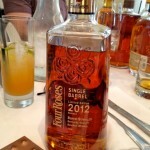 And so it was that I went to a Four Roses tasting recently. It was all for you. Problem is, I misplaced my notes somewhere along the way so I will reconstruct as best I can through photos but the important thing to note is that Four Roses bourbon is delicious…all of them! 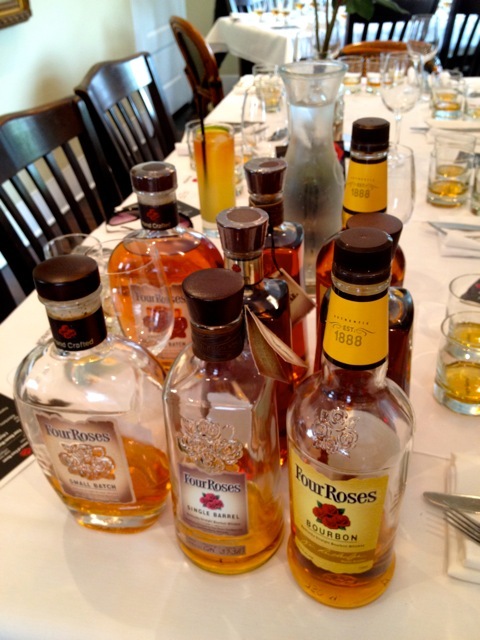 We tasted Four Roses Yellow 80 Proof, Four Roses Small Batch 90 Proof and, the star of the show, Four Roses Single Barrel 100 Proof. 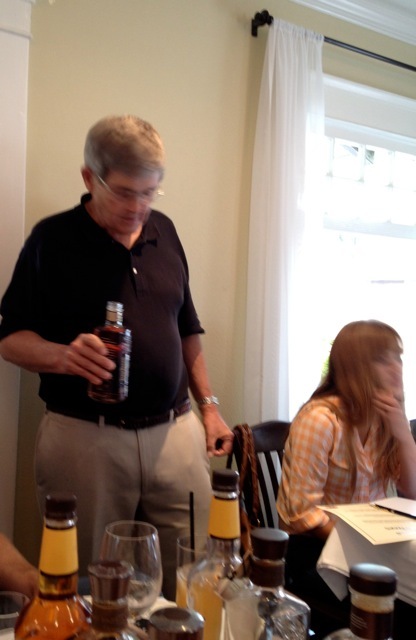 A charming contingent from the distillery, all the way from Kentucky, were on hand and we were led through the tasting by affable, Al Young, 45 years at the distillery, Bourbon Hall of Fame Four Roses Brand Ambassador…hellooo, he knows his stuff. One thing I do remember, sans notes, is that Four Roses uses more rye in their bourbon than anyone…about 20-35% while it is usually just 14-16%. Hence, its uniqueness and, for me, its super deliciousness. Easy drinking (drink responsibly!!!! 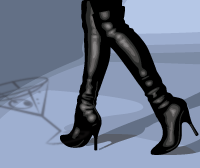 ), smooth and good even on its own. The Single Barrel was particularly wonderful and we tasters snuck extra plugs from the bottle when we thought no one from the distillery was looking. 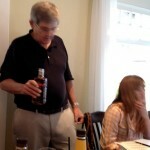 Or, maybe they just enjoyed watching us enjoying their bourbon. 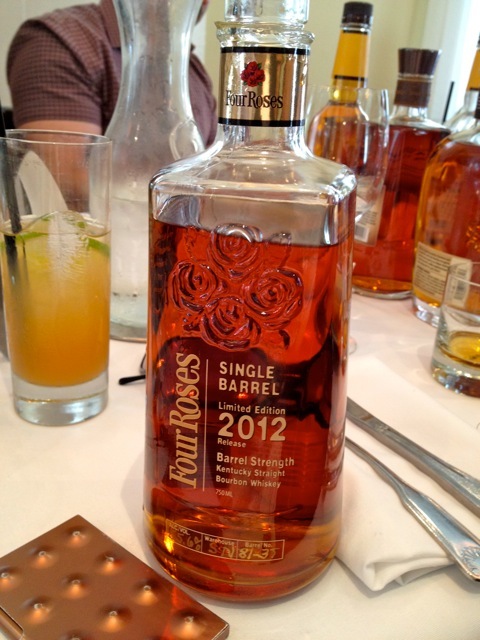 Four Roses has been a staple in the bourbon category for a long time and its somewhat retro look gives it a comforting familiarity when you’re at the bar or reaching for bourbon off the shelf. And that’s a good thing. 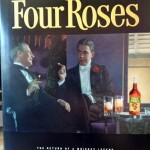 A great way to learn more about Four Roses is to read Al’s book, unsurprisingly called Four Roses: The Return of a Whiskey Legend .